Fist-size ideal for your outdoor BBQ needs. Sold by volume - approximately 10 pounds depending on wood type. Great quality pieces of wood for smoking meat. I use a hatchet on some of the larger pieces to get the size I want, as there is a little bit of variance in the sizes of the wood chunks. 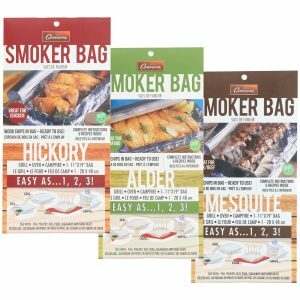 That is perfect for me, as I use the larger chunks when smoking, and the smaller pieces while grilling. I’ll be ordering these again the next time I need wood. 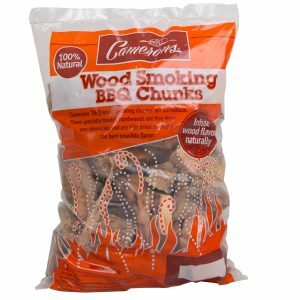 The Pecan smoke itself is great as well. I enjoyed it quite a bit, and it is quickly moving up my list of favorite woods to use. Many consider it interchangeable with Hickory wood chips, but I’d say it is just slightly more mild. Very good flavor overall, and would work well with chicken, beef, fish, and probably cheese. 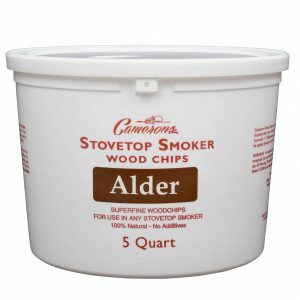 I prefer apple wood when smoking pork, but I’d guess it would work for that as well. Heck…there aren’t any rules, so try it on everything! 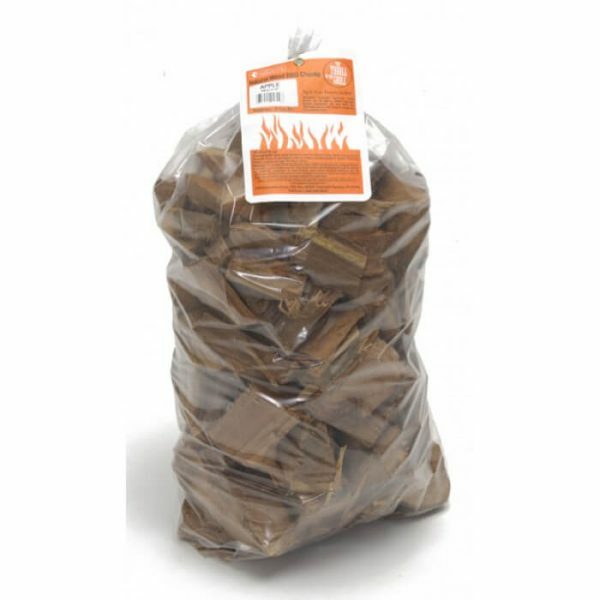 Maple chunks are hard to get on the west coast, but are very good for pork ribs and pulled pork sandwiches. These were not all broken up and dry like some of the reviews I had read. Great product, not cheap, but nice flavor. I initially gave this four-stars because the chunk size was a bit irregular. After running through the first bag and buying my second, though, I’m changing my tune. 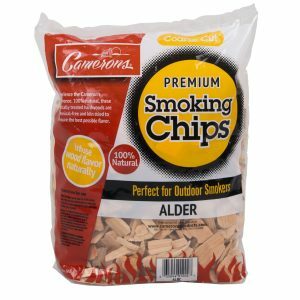 I like having a bit of variation is size so I can pick based on the duration of smoke I’m doing. So that being said, the quality of the wood is really good. 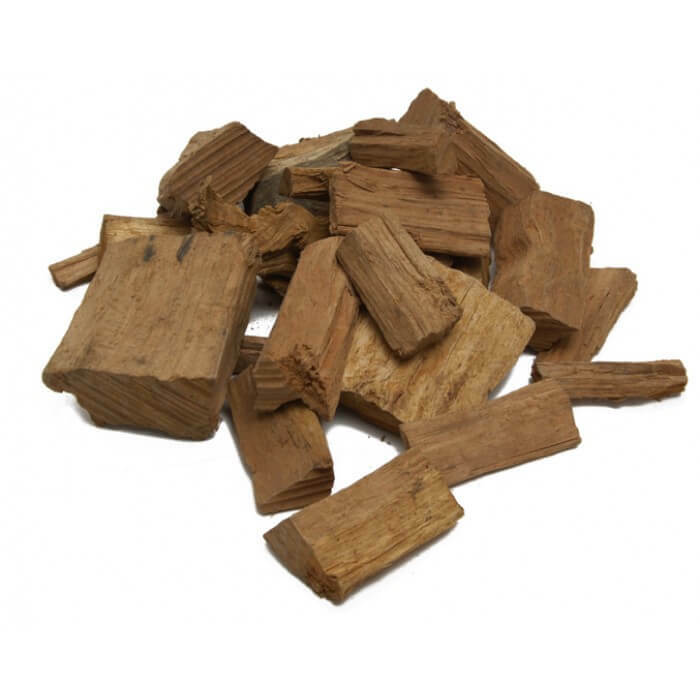 The chunks are cut pretty cleanly, no sign of bad wood, and the smell… God, the smell is beautiful. I’m a Texan, so for me barbecue means brisket, and brisket means OAK. Nothing makes me happier than waking up in the morning to check on my brisket and smelling that oak smoke wafting through the back yard.